Welcome − Please click here to sign−in or create an account prior to ordering. All flavors are currently available. Cougar Gold: Due to limited inventory, we will not fulfill any orders for more than 8 cans of Cougar Gold. This 8 can limit is per month, not per order. Our seasonal flavor, Red Pepper Garlic, is currently available. Click for more information on shipping. 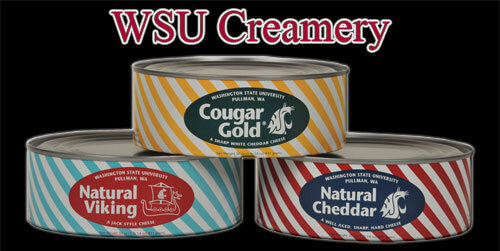 The WSU Creamery accepts Visa, Mastercard and Discover. You will be charged at the time of the order, regardless of shipping date.